The FCC today rejected a request from the chairman and ranking member of the House Science, Space, and Technology Committee to postpone the agency’s 24 gigahertz band auction, which is scheduled to start tomorrow, and consult with federal agencies regarding their concerns about the potential for 24 GHz band interference to adjacent spectrum used for Earth observation sensors for weather and climate forecasting. In a letter to Mr. Pai and the other Commissioners, Reps. Eddie Bernice Johnson (D., Texas), the chairman of the committee, and Frank Lucas (R., Okla.), its ranking member, said that they “are deeply concerned” about the sale because of the use of the adjacent spectrum for critical purposes. The lawmakers cited a Feb. 28 letter from Commerce Secretary Wilbur Ross and NASA Administrator Jim Bridenstine to Mr. Pai. In a letter last week responding to the letter from Messrs. Ross and Bridenstine, Mr. Pai denied their request and said the FCC planned to move ahead with the auction, a source confirmed. The FCC would not release Mr. Pai’s letter today. NASA provided TR Daily with the letter to Mr. Pai. 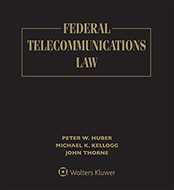 Advocates for passive spectrum use, such as weather and climate operations, often file comments with the FCC expressing concern that the use of various bands could compromise the scientific use of spectrum by incumbents.